Although many people are staying at home longer, there is evidence to suggest that factors such as loneliness and isolation can lead to declining health and depression. 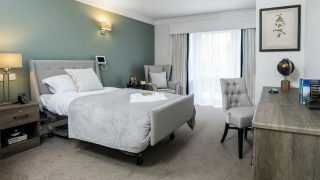 Our residential care homes focus on maintaining individual lifestyle choices and empowering people to enjoy stimulating and fulfilling lives with discreet and sensitive care while providing support that retains their choices, personal preferences and independence. 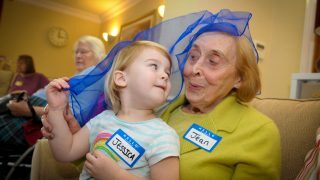 Our thriving residential communities enable residents to sustain and build new friendships and relationships both within and outside of the care community. 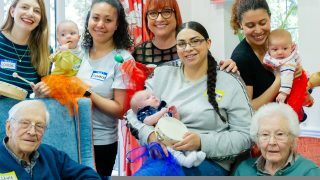 This enables residents to continue any hobbies and pastimes they previously and currently enjoy and to sample new opportunities and experiences within an inclusive community setting. Prior to coming to live at one of our residential care homes here at Hallmark, every resident is asked to complete an ‘About Me’ booklet. This will give us a better insight into their hobbies, likes and dislikes and even their history. 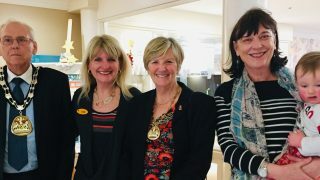 For residents, it offers an enjoyable trip down memory lane and for our care team, it’s the first step towards building a strong, supportive and sustainable relationship. From this information, we can develop a personalised care plan that meets the needs and wishes of each individual. 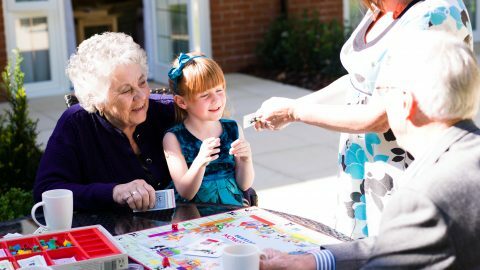 Within our residential care homes, we encourage open communication between residents and our care team. This is to ensure that every resident is happy and can talk openly about their lives with each other, and with our team. We also provide a variety of activities, including arts and crafts and games and the more unusual zoo visits and team building activities. We are also open to frequent visitors and host a variety of events for residents and their families including day trips, to help them gain new experiences. Feeling lonely and isolated can lead to a decline in mental and sometimes physical health, which is why we are dedicated to ensuring there is plenty to keep residents occupied and in good company. So, while every resident is given their privacy and choice, we craft a sense of community and stimulation at the very heart of all of our care plans. It is important to us that all residents can continue to enjoy their favourite activities and maintain the same lifestyle they’ve always had. We open our doors to new activities and cater for as many interests as we can and with the support of our inclusive community setting and outstanding residential care, we make sure that every resident is given the care and support they need. 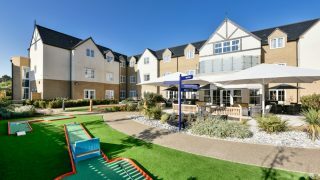 Our homes offer a wide variety of activities, clubs and lifestyle choices that are tailored to individual needs, and residents are free to choose as many as they wish. 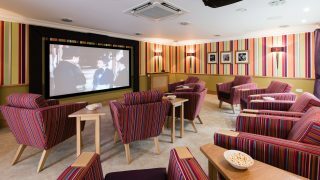 Our Lifestyles Team ensure that regular favourites are punctuated with new experiences, so throughout the week, there are always things to do within the residential care home. 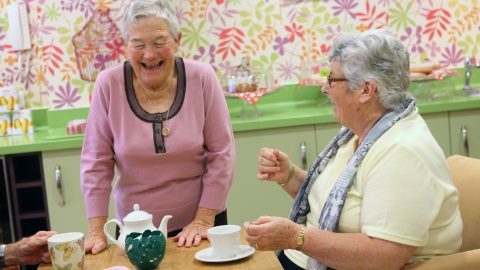 Activities can vary from a relaxing afternoon tea, arts and crafts, gardening, cooking, exercise classes and outings to local places of interest. 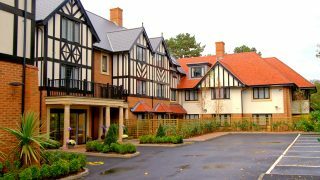 Hallmark Care homes have won the prestigious Pinders Healthcare Design award for ‘Best Care Home’ seven times. 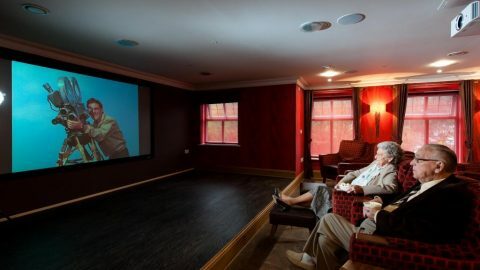 Most of our homes offer a range of beautifully designed facilities including a state-of-the-art cinema, hair and nail salon and relaxing therapy room. Some even have a corner shop, so that residents can continue their everyday routines in familiar settings. Residents and their family and friends can also enjoy fresh coffee and homemade cakes in one of our friendly, vibrant café’s located within the residential care home, creating a welcoming atmosphere for all. 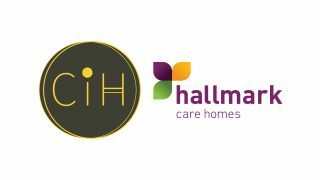 To find out details of your local Hallmark care home and the residential care that we provide, get in touch with us through our website. We will provide you will all the information you could possibly need.